The Faculty has opened nominations for the Excellence in Teaching Awards. John McDermott (Biology) received a CIHR project grant to study the molecular basis of heart disease mechanisms. Amenda Chow (Mathematics & Statistics) received an award from the Academic Innovation Fund to develop an experimental math space. Graduate student Sepideh Sharif (supervised by Mike Organ, Chemistry) was awarded a prize for a poster she presented at the Chemical Society Conference in Edmonton. The European Southern Observatory released a striking image of the young star cluster RCW38, taken with a new infrared camera and adaptive optics system on the ESO Very Large Telescope, by Dean Ray Jayawardhana and collaborators. The new Mathematics for Public Health Lab, directed by Jianhong Wu (Mathematics & Statistics) and one of 11 flagship laboratories launched by the Fields Centre for Quantitative Analysis and Modelling, was profiled in yFile. Gerald Audette (Chemistry) co-chaired the American Crystallographic Association’s Annual Meeting. The news was highlighted in yFile. Jane Heffernan (Mathematics & Statistics) gave a plenary lecture entitled “Modelling Immunity: A Multi-Scale Problem” at the Society for Mathematical Biology Annual Meeting (Sydney, Australia). Paul Delaney (Physics & Astronomy) participated in an Art and Astronomy Panel at the Propeller Gallery. Recent PhD graduate Rahima Khatuna and her supervisor Yi Sheng (Biology), along with NMR Technologist Howard Hunter (Faculty of Science) and colleagues at Sanofi Pasteur, published 27Al and 31P NMR spectroscopy method development to quantify aluminum phosphate in adjuvanted vaccine formulations in the Journal of Pharmaceutical and Biomedical Analysis. PhD student John Maxwell Campbell (supervised by Michael Zabrocki and Ada Chan, Mathematics & Statistics) published Ramanujan-like series for 1/π involving harmonic numbers in The Ramanujan Journal. PhD graduate Jelena Brkić (supervised by Chun Peng, Biology) published MicroRNA-218-5p Promotes Endovascular Trophoblast Differentiation and Spiral Artery Remodeling in Molecular Therapy. Undergraduate student Gina Faraj (Mathematics & Statistics) was accepted for a highly competitive Women in Math Summer School hosted at UBC, with all expenses paid by the Pacific Institute for the Mathematical Sciences. Undergraduate student Gian Alix (Mathematics & Statistics) was accepted into the competitive, international Fields Undergraduate Summer Research Program. A study led by PhD student Nadejda Tsvetkov (supervised by Amro Zayed, Biology) used a new food reward test to find that foraging honeybees are better at remembering where to find nectar than younger nurse bees, and that it has to do with behaviour, not age. Read the press release. 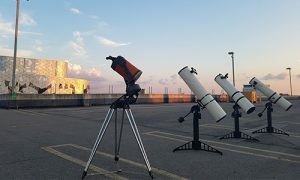 CBC News profiled the Mars Extravaganza event hosted by the York Observatory team. Professor Emeritus Norman Yan (Biology) spoke to CBC Radio’s Ontario Morning on the topic of using a residential wood ash recycling program to help solve the widespread problem of environmental calcium decline. Paul Delaney (Physics & Astronomy) spoke to CTV News and AM640 about the Mars Extravaganza event at York. He also spoke with CTV News, AM640, Sirius XM and CHML900 about a variety of other topics, including baby exoplanets, relativity verification, UFOs, the neutrino discovery at IceCube and Jupiter’s new moons. 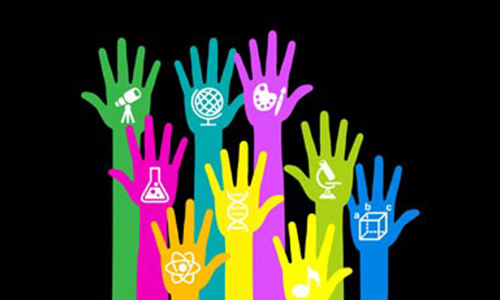 August 7: Summer Undergraduate Research Conference, 8:30 am – 3:30 pm in the New Student Centre, 2nd Floor, Convention Centre. August 14-16: Astro Workshop 2018: Professional Development for Teachers of Astronomy.